(Nina Syc aka Ania Gastol - Freelance Make-up Artist & Hair Stylist) What is Eco Make-up...? Eco make-up products are typically free of many chemicals and additives found in regular make-up. These products are mostly free of perfumes, synthetic dyes, and preservatives - so they're free of the chemicals causing allergy reaction to some people with very sensitive skin. New Eco Brands (Makeup, skin care, etc. ), wanting to promote your products through my Make-up & Hair services - get in touch! Each month, I take one of the products recently reviewed and showcase it here. I started this Eco Make-up blog in order to help women make more informed green skin care choices, and the Product of the Month is an extension of that. How I can help your companies? Send me a sample of your products to try them, review on my blog & suggest to my clients. 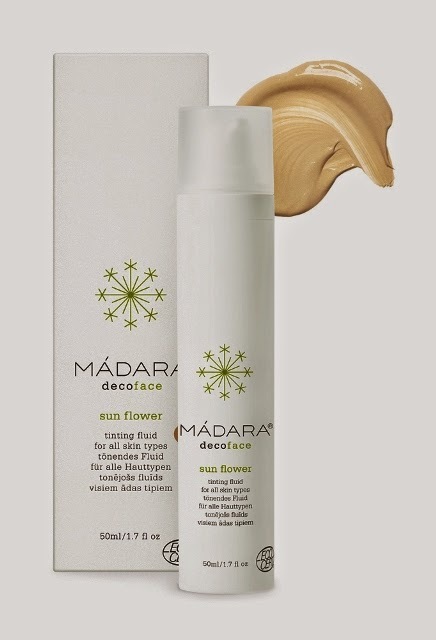 Madara is a range of beauty products (skin, hair body) that is entirely natural and organic. The Madara Tinting Fluid is a very light, quick-drying fluid that offers the same coverage as a tinted moisturiser, without having the heavier moisturiser ‘feel’. It just glides on and seems absolutely weightless! I have tested out this fluid quite extensively (I used Sun Flower but there’s also a lighter shade called Moon Flower) and it has great staying power, but above all is just a lovely way to get coverage without actually feeling as though you’re wearing makeup! IF you have dry skin, you’d need to use a moisturiser underneath the Fluid, but if you get oily days, like me, this is a wondrous product to use on its own. 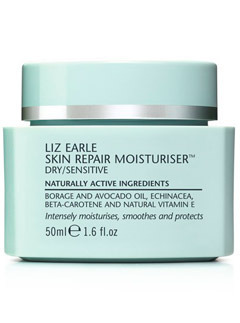 I wanted to share my experience of trying two other Eco skin care products, from the same company - Liz Earle.These are: a Skin Tonic and a Skin repair moisturiser. They're both great! My skin feels softer and smoother after using them! They are my favourite now! 'This perfectly balanced moisturiser softens, smoothes and conditions skin for a naturally healthy glow. Rich in natural actives, including borage oil (a rich source of the essential fatty acid GLA) and natural antioxidants beta-carotene and vitamin E to replace lost moisture and help protect dry/sensitive skin. 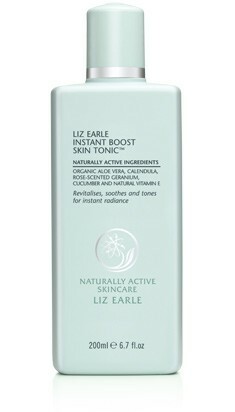 Massage into face and neck, morning and night, after Instant Boost Skin Tonic. 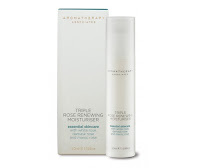 After trying Eco moisturisers, I can definitely recommend the Triple Rose Renewing Moisturiser, that I'm using as a daily skincare. It's natural, with white rose, damask rose and maroc rose. From Morocco, Turkey and Bulgaria, three different roses lend their delicate scent and rejuvenating effects to this nourishing daily moisturiser. Anti-oxidant, anti-ageing rosehip, red marine algae and frankincense protect and tone the skin, locking in moisture to keep the complexion looking youthful, and radiant. Apply an even layer to cleansed and toned skin and smooth over the face and neck. Oils for added moisture and protection. 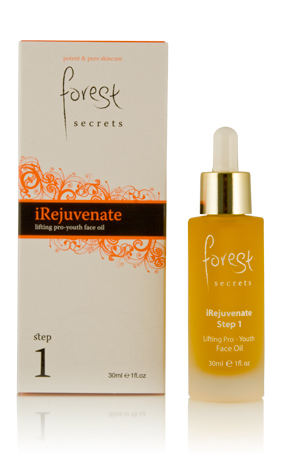 For the past two weeks I’ve been trying Forest Secrets iRejuvenate two step facial oil system. I was sent little sample sized bottles to try and I’ve been using it once a day. I like it a lot! My skin feels soft and nice! The oil is 100% natural, vegan and environmentally friendly! There is a secret hidden in the Forest ready to be told. The forest breathes, it is alive, sensitive to chemicals, the climate and the seasons. Our skin is exactly the same, a natural and living organ. 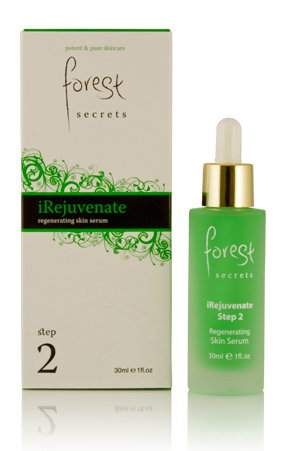 This key concept is the core secret of Forest Secrets Skincare. The skin breathes: Forest Secrets beauty serums donʼt suffocate the skin as they contain no wax, emulsifiers or silicones that can interfere with oxygen uptake. This is important because like the Forest, the skin has an intelligence and ecosystem that needs free oxygen exchange. VIP facialist, Michelle Peck has become Madonnaʼs favourite thanks to her oxygen facials. The skin is alive, changing with the seasons and the climate. What is applied to it has to work in harmony with the skinʼs “personality” or “mood”: when it is hot the skin produces more oils and requires water based botanicals that do not add extra oils to the skin, but still nourish it. In winter the skin needs extra protection from the drying effects of wind and the elements. Therefore oil based botanicals are a skin saviour, by strengthening the skin barrier keeping it supple. The skin differs in different areas of the face, for example the T area tends to be oily, whereas the cheeks and the eye area tend to be dry. Forest Secrets beauty serums allow total flexibility on where to apply oil nutrients with extreme precision thanks to our dropper dispensing system. The skin is sensitive to chemicals. A polluted Forest is a poisoned Forest, it can not look and function at its best. For the same reason we would not throw petrol or diesel in the woods, we do not want to apply synthetic chemicals on our faces. and only personalised skincare system on the market. The elements available in the range so far include an antiageing tool box (iRejuvenate Step 1 Lifting Pro-Youth Face Oil and iRejuvenate Step 2 Regenerating Skin Serum) and a skin blemish tool box (iBright Lightening Skin serum and iBright PLus Lightening Skin Treatment), all of which can be simply mixed in the palm of the hand to suit the ever changing skin demands. Approved by the Eco-Bio cosmetic standard by the Italian organic certification body ICEA (Institute for the environmental and ethical certification), BUAV and the Vegan Society. Award winner. After 16 years we still only make one cleanser because this formulation is the ultimate in concentrated, yet gentle, cleansing power and works on every age and skin type. cleansing. Free from mineral oil it has a rich and creamy texture and swiftly removes all traces of face and eye make-up, even stubborn mascara. Phase 2 is the polishing. Polish off the cream using the pure muslin cloth to help gently dislodge dead skin cells and help reveal clean, soft and radiant skin. Cleanse & Polish is rich in naturally active ingredients including purifying eucalyptus and skin softening cocoa butter. Our multi award-winning cleanser is coveted by women in over 90 countries and adored by beauty editors and make-up artists alike. has inspired rave reviews and has won over 55 awards from many of the finest experts in the industry, but perhaps the most powerful and important endorsement of all, comes from its many regular users. charismaticmakeup.com. Watermark theme. Theme images by konradlew. Powered by Blogger.